For a nation renowned for its love of gardening, Lancelot ‘Capability’ Brown is one of our greatest exports. The English landscape garden, epitomised by places such as Stowe or Blenheim Palace, are achievements on world scale. 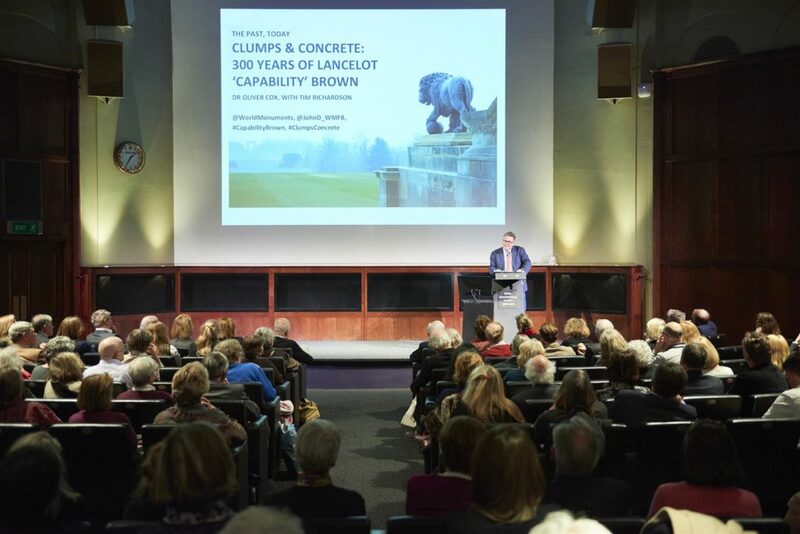 In this, the 300th year of Brown’s birth, Oliver Cox explained how these beautiful garden landscapes were created and how eighteenth century landscape design has inspired post-war reconstruction. Brown cut his teeth designing the garden landscapes surrounding Stowe House, a building that has been WMFB’s 10 year flagship project. Every window of the mansion frames a view crafted by the hand of Brown. From Stowe, Brown’s name was associated with a further 260 landscapes before his death at the age of 67 – thirty-five of them in Greater London alone. His work is enduring and the images which his created remain embedded in the English character through art and literature. In the twenty-first century Brown’s influence remains more powerful than ever, and as we celebrate the 300th year since his birth we explore the way in which his name has become a shorthand in popular culture.